"South China Int'l Dental Equipment & Technology Expo"
Dental South China International Expo operates to provide a healthy platform for the dentistry industry to proliferate and flourish and engage in business with the attendees on a face-to-face basis. This event displays products like Dentistry Instruments: General Dental Instruments, Endodontic Instruments, Surgical Instruments, Oral Implantation Instruments, Periodontal Treatment Instruments, Mechanic Restoration Instruments, Orthodontic Instruments, Dental Anesthesia Apparatus, Dental Protection Instruments to name a few. 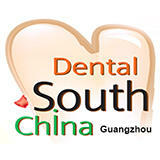 This is my 3rd year attending south dental china trade. Exhibitors are friendly and the organizer is a big help on us with regards to aitport transfer.Hope that i can meet again my friendly supplier. Good organized, clear booth - and lane information to find boothes easily. Always something new to find. 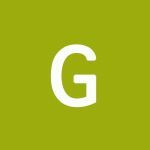 Exhibitor Profile includes Dentistry Furniture, Dentistry Equipment, Dentistry Instruments, Dental Materials, Orthodontic Materials, Oral Care Products, Denture, Dental Management Software, Dental Teaching Supplies, Communications Office System Others.